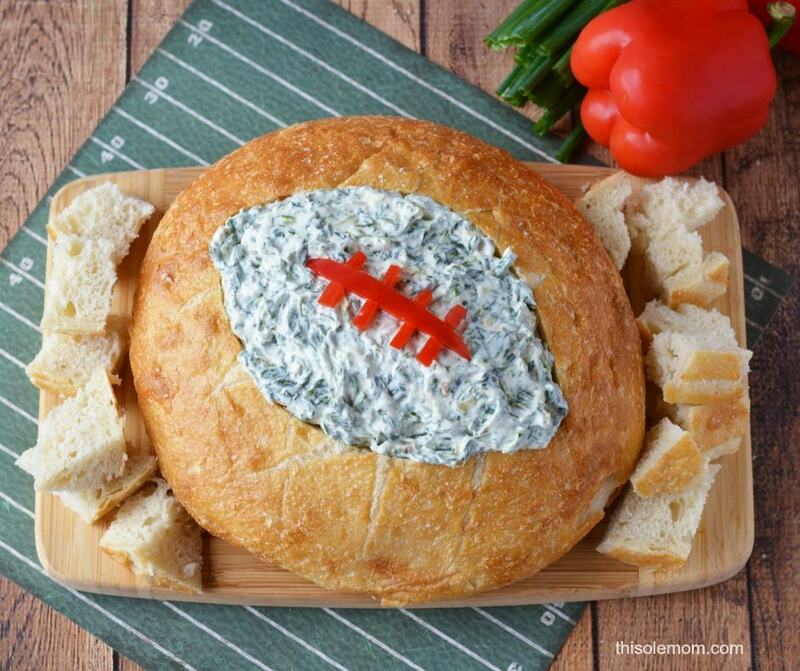 If you’re planning a football watching party this fun and delicious Football Shaped Bread Bowl With Spinach Dip would be perfect to serve all your hungry guest. 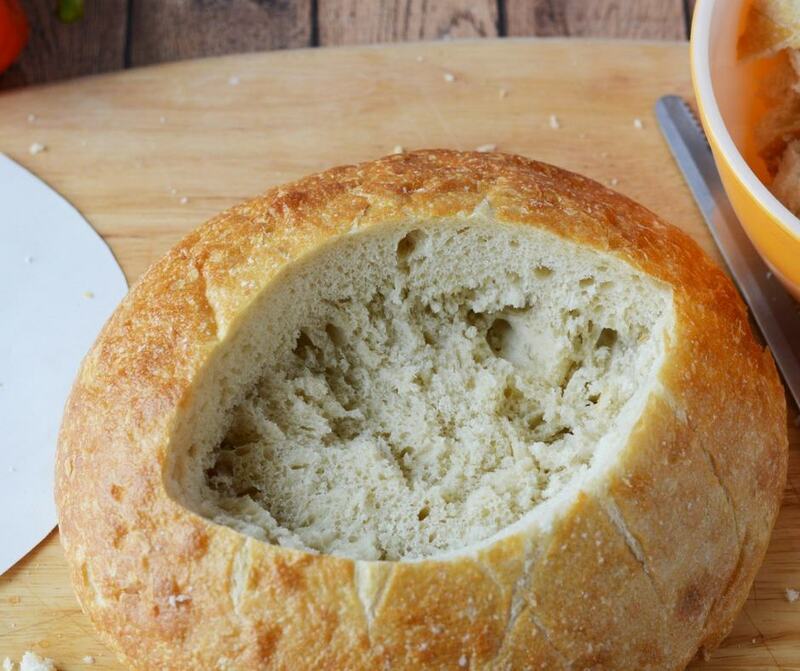 And, your appetizer table will look amazing with this fun bread bowl sitting on top of it. 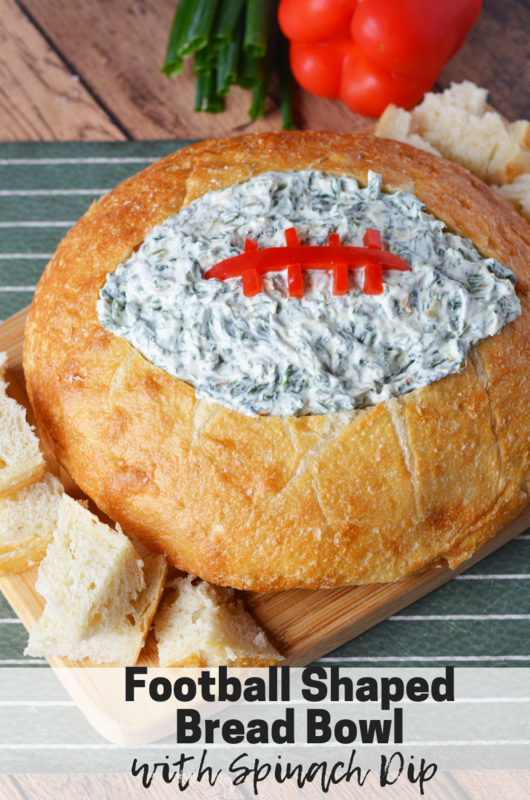 Best of all of the hungry football fans at your party will love the bread bowl with spinach dip. Mostly the football watching parties I host at my house during football season is for my husband and his friends. Food is usually my primary goal when hosting the parties and not which football team wins the game. But, it is to my husband and his jersey-clad football fanatic friends that come over with their hearty appetites. 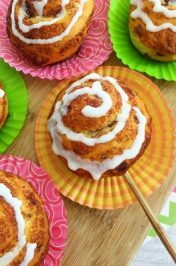 My primary focus is to make sure I prepare food for my husband and his friends they will enjoy. 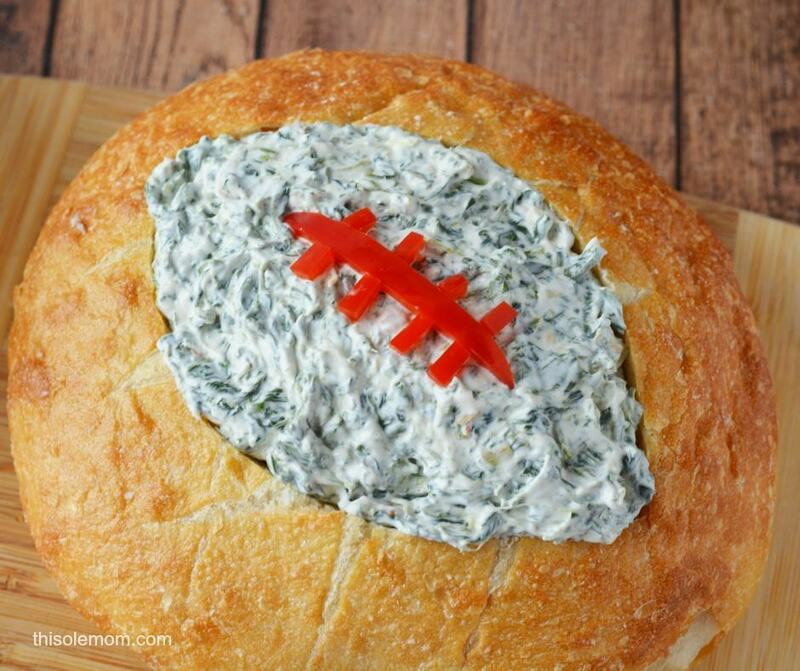 That’s the reason one of the appetizers I always make is the Football Shaped Bread Bowl With Spinach Dip, it looks and tastes great, and it’s usually the first food to be eaten. Drain spinach. Remove from the outer wrapper of the spinach and keep it in the paper box. Squeeze the box tightly between the palms of your hands over the sink to remove as much water as you can. 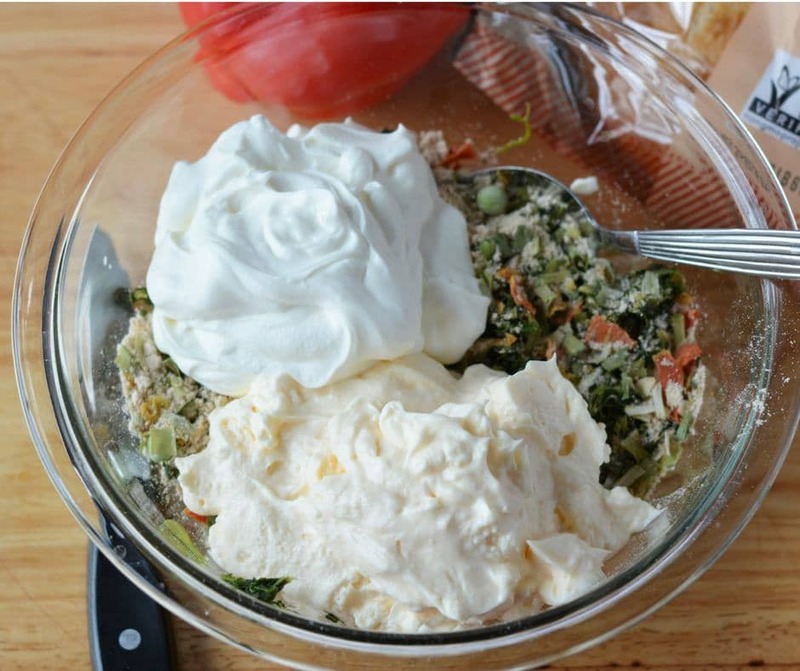 Take the spinach from the box and place into a mixing bowl. 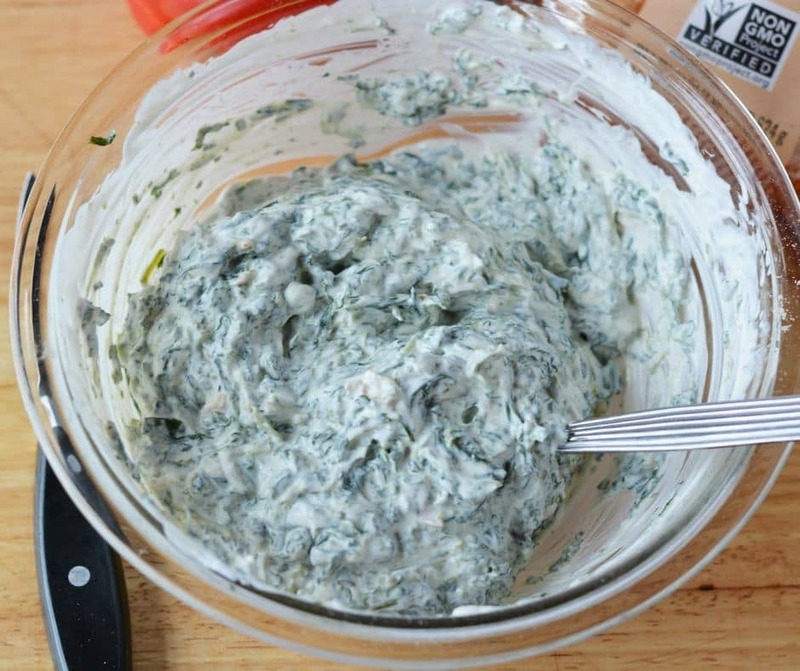 Add dry soup mix, mayonnaise, and sour cream. Stir well to combine. 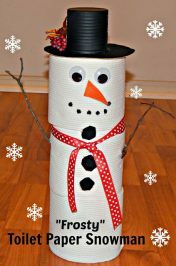 Refrigerate covered for 4 hours or overnight. 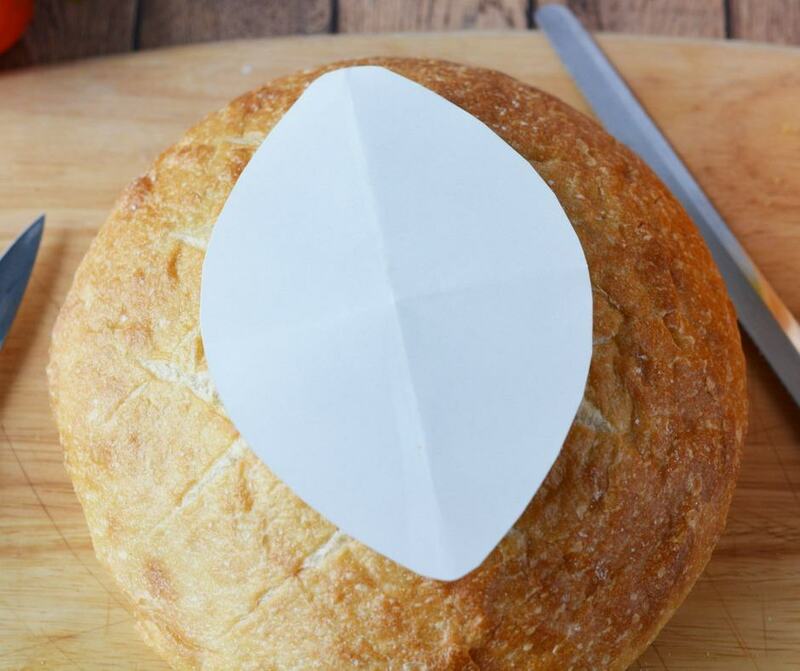 To make the bread bowl, you can freehand cut a football shape onto the bread, or create a small paper template as shown and cut around it. Remove the bread in the center by cutting vertical slices then remove chunks of bread one at the time. Set the pieces of bread aside. 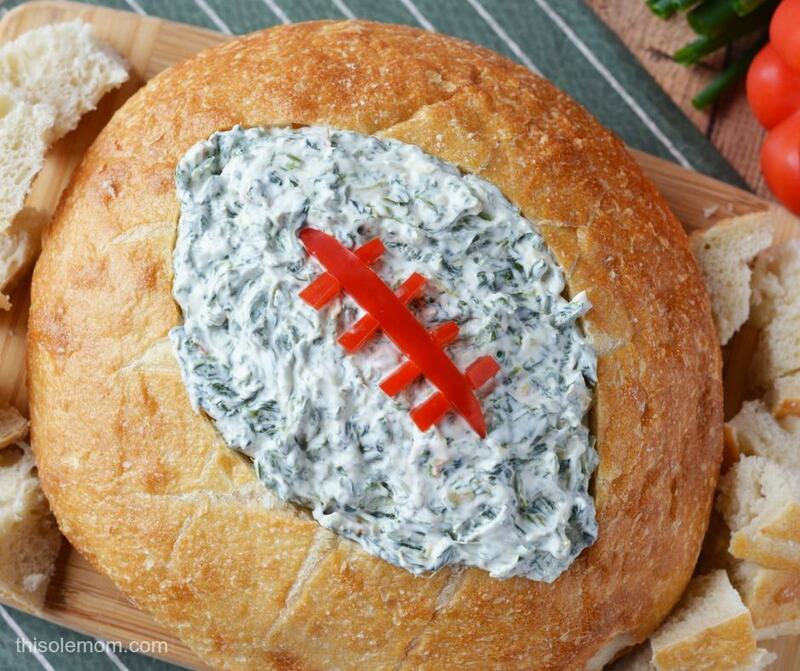 Spoon prepared spinach dip into the bread bowl. Top with one large sliced red pepper, and smaller pepper pieces to resemble football stitching. 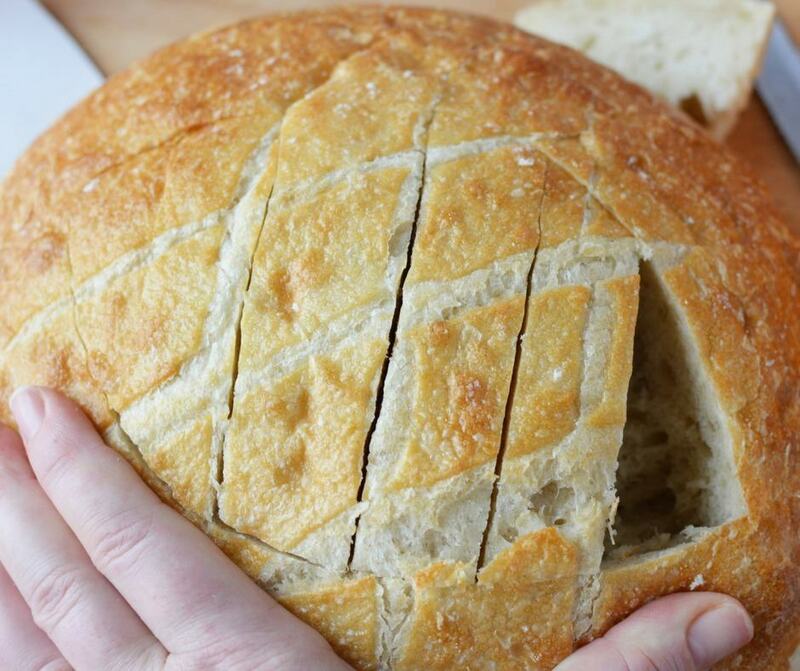 Cut the reserved bread pieces with a bread knife, into 1″ dipping cubes. Cut the other loaf of bread into 1″ cubes for dipping. Serve immediately. 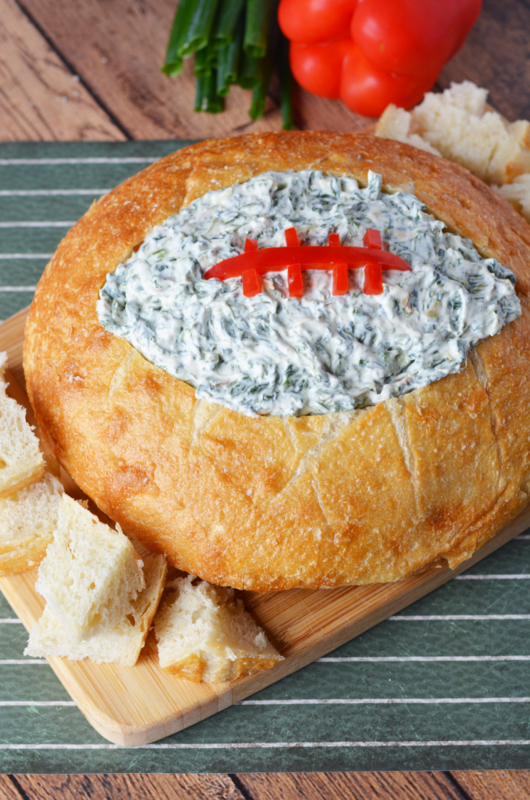 If you decide to make the Football Shaped Bread Bowl With Spinach Dip I hope your guest love it! Do you have a favorite football team? Hi Kim. 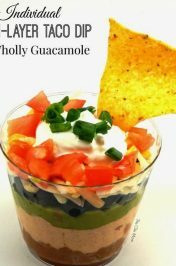 I make this dip, and it’s always a hit. 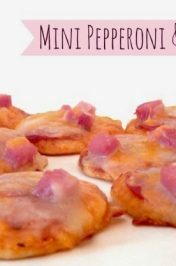 I’ll be adding your recipe to my Game Day Roundup. Thanks for sharing.